The glory of the God has made you a new creation! Watch Gloria Copeland and Billye Brim (as previously aired) on Believer’s Voice of Victory as they discuss how the manifested presence of God comes in different degrees, and the hope we, as the glorious Church, have in Jesus Christ. You were called to go from glory to glory! 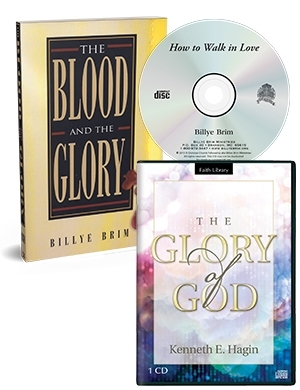 Watch Gloria Copeland and Billye Brim (as previously aired) on Believer’s Voice of Victory as they share about the power of Shekinah glory and the blood of Jesus that changes you from the inside out. There’s power in the glory! The Church is called to walk in the glory of God! Watch Gloria Copeland and Billye Brim (as previously aired) on Believer’s Voice of Victory discuss God’s plans for the glorious Church. Through His glory, we can expect revelation, wisdom and power flowing in our lives. You can walk in love through the power of the glory! Watch Gloria Copeland and Billye Brim (as previously aired) on Believer’s Voice of Victory discuss how the glory of God will enable you to fulfill the commandment to love in a supernatural way. The glory of God is accessible to you by faith! Watch Gloria Copeland and Billye Brim (as previously aired) on Believer’s Voice of Victory as they share how it takes faith to see a full manifestation of God’s glory. You can see His presence and glory right in the face of giants! Catch up with the previous week in this series, The Manifestation of the Glory of God (Rerun).